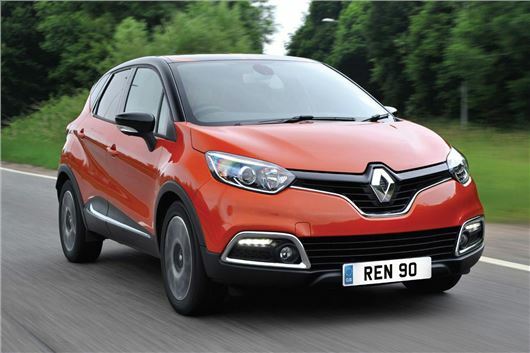 Renault has announced a range of finance deals and incentives for its 15 registration cars. Calling it the "Renault Romance Season" the offers starts at £139 per month with four years’ warranty and four years’ Renault assistance included. Private buyers will enjoy special savings styling packs and leather interiors and also on service plans that start from just £199 for three years/30,000 miles. All-New Renault Twingo – is available from just £139 deposit and £139 per month. Renault Clio - with standard air conditioning and 16 inch alloy wheels starts from £139 per month on Expression+ with £1,500 deposit contribution. Renault Captur – the adventurous crossover with customisable colour collections from £169 per month with £1,250 deposit contribution. Renault Mégane – Hatchback, Sport Tourer and Coupe models with energy efficient engines are offered on zero deposit 4 year’s interest-free hire purchase. Renault Scenic – MPV offered on zero deposti four year’s interest-free hire purchase. Renault Kangoo, New Trafic and Master – is available from £149.95 per month excluding VAT on three year/10,000 miles per annum contract hire for business customers. Finance provided by RCI Financial Services Ltd, PO Box 149, Watford WD17 1FJ. Guarantees and indemnities may be required. You must be at least 18 and a UK resident (excluding the Isle of Man and Channel Islands) to apply for finance. Terms and conditions apply. Clio example shown is based on 6,000 miles per annum, excess mileage of 8p per mile inc VAT. Deposit contributions shown are available to Renault Finance customers only when taking Renault Finance on Renault Clio (excluding Clio Expression) and Renault Captur. When taking Contract Hire product, at the end of the contract you will not own the vehicle. Contract hire monthly payment based on 10,000 miles per annum on a non-maintained contract (you are responsible for all maintenance and servicing costs).Finance offers cannot be used in conjunction with other schemes or finance offers and are available on new vehicles when ordered registered by 31 March 2015. Available at participating dealers only. †4-year warranty applies to new vehicles when ordered from a UK Renault-approved dealer. Warranty up to 4 years/100,000 miles (whichever comes first). For full warranty terms and conditions visit www.renault.co.uk/warranty **Service packages available at £199 or £399 (as applicable) when the vehicle is ordered and registered by 31 March 2015. Visit renault.co.uk/servicepackage.